Free High Speed Internet Access and Long Distance Calls to US and Canada! Located directly on the beach. All the comfort, convenience and beauty to be found on the Gulf Coast are here. Heated pool and sundeck. Private dock and fishing pier on the Intracoastal Waterway. Walt Disney World Resort Complex is just a 90 minute drive away. Busch Gardens is only a 45 minute drive. Tennis, golf, shopping, sightseeing and excellent restaurants are nearby. The spacious condo overlooks the heated pool as well as over the beautiful Gulf of Mexico where you can even see dolphins playing from time to time to add to your relaxation. Laundry facilities, balcony, gameroom, pool table, 2 flat screens TV's, dock. 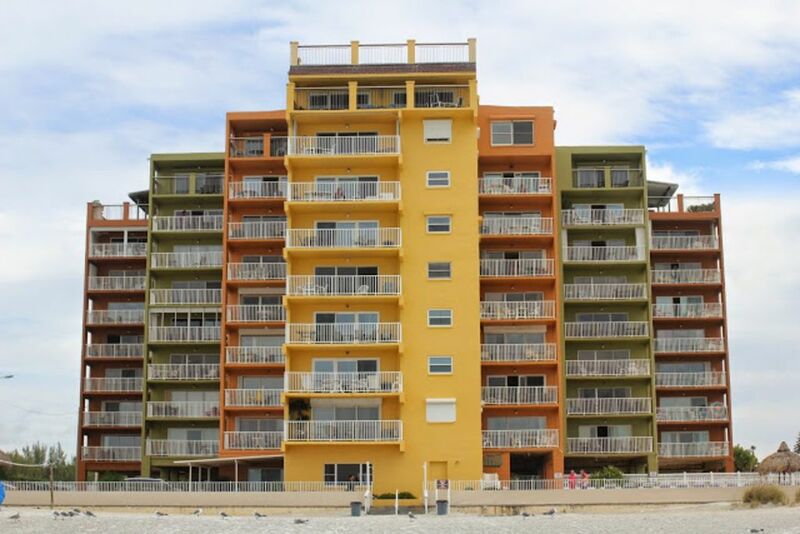 This luxurious vacation condo is great for lovers of surf, sand and sunsets or long walks on the beach. Dock in the Intracoastal Waterway. Golf, tennis, shopping and great restaurants nearby.